United Way of Greater Fort Dodge harnesses the collective compassion and resources of the community to improve lives. United Way of Greater Fort Dodge has a rich tradition in Fort Dodge and Webster County. In 1928, a group of generous and committed Fort Dodge area residents established the Fort Dodge Community Chest. Twenty-eight years later, Fort Dodge’s Community Chest became a United Way organization and incorporated as United Way of Greater Fort Dodge in 1956, joining 1,000 other communities around the nation. Since that time, more than $13 million has been raised in the greater Fort Dodge area. United Way is all about community; bringing people together to address important community needs and challenges. The United Way fund provides the resources to help catalyze community action targeted at helping the most vulnerable in our community. United Way is focused on long-term solutions by supporting disadvantaged youth and helping struggling families become more stable and self-sufficient. United Way funds stay in the local community and region helping families and youth that aren’t looking for a handout but just need a helping hand. An important part of United Way’s mission is to help our youth reach their full potential so they can thrive and become productive future citizens, parents and employees. Many of these youth will become an important part of our labor force in the next five, ten and fifteen years. A small investment in their well-being today can make a real difference for them tomorrow and for the long-term success of our community. Using a community impact model, in 2013, United Way supported 39 partner agencies and programs that impacted youth and families. Fighting hunger, preventing homelessness, supporting after school programs, fostering family self-sufficiency and enriching the lives of children and adolescents are just a few of the many ways that United Way funds are making a difference in our community and region. To serve as a catalyst for charitable giving – developing charitable resources to support important human service organizations, programs, projects and services that benefit the common good and improve the quality of life of citizens, families and youth in Fort Dodge and Webster County. By effectively and efficiently using our charitable resources, we will strive to create lasting change and improve and enrich lives through the collective compassion and resources of our community. To bring together all sectors of our community including businesses, community organizations, volunteers, government, private foundations, nonprofit agencies and the general public around a shared vision – to help youth, individuals and families achieve their human potential through education, income stability, healthy living, building youth assets and providing safety net support. The United Way of Greater Fort Dodge is a locally governed, volunteer driven organization dedicated to strategically advancing our community's health and human service agenda in order to build a healthier community. We are part of a national movement operating under the umbrella of the United Way of America. As the nation's leading community solutions provider, the United Way invests in and activates the resources necessary to make the greatest possible positive impact in communities across America. The United Way movement includes more than 1,800 community based United Way organizations. Each is independent, separately incorporated, and governed by local volunteers. United Ways bring communities together to focus on the most important needs in the community - building partnerships, forging consensus and leveraging resources to make a measurable difference. United Way Worldwide's mission is to improve lives by mobilizing the caring power of communities. Nearly 1,800 local United Ways raise and invest significant resources to build strong, healthy communities. In 2012, the United Way system raised $3.9 billion in current year support, again making it the nation's single largest private charity. In Iowa, there are 33 United Way organizations. Apart from government, United Ways are the largest single supporter of health and human services in the country, funding programs in more than 45,000 agencies or chapters across the country. 100 percent of each dollar raised by United Ways stays in the community where it is raised. 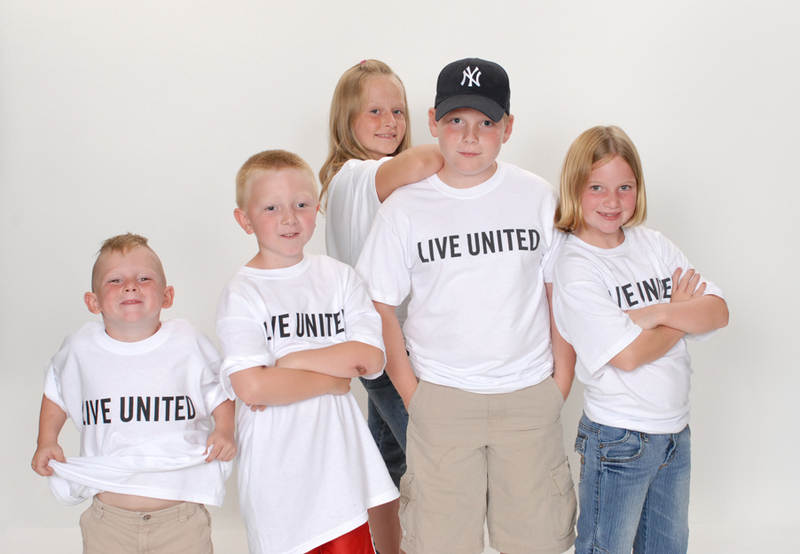 Each United Way sends 1% of its revenues to the United Way of America as service fees and dues. In return, United Way of America (UWA) leverages the support of national corporations which benefit local United Ways through corporate gifts that far exceed the dollars collected as service fees. In addition, UWA offers numerous training and educational seminars on the regional and national level. United Way is the major avenue for charitable giving through the workplace. In most communities, it is the only entity invited to conduct in house fundraising campaigns and solicit both corporate and employee gifts in the work place on work time, and to collect pledges through payroll deduction.